In a development more shocking than the capture of a live Bigfoot, a recent Goldman Sachs research report (click here and here) states in black-and-white what many have long suspected: curing diseases is not a viable business model for the companies that develop and manufacture drugs. Instead, drugs that turn terrible diseases into treatable illnesses which are kept under control by the perpetual use of medicines that sustain patients but don’t cure them have become marvels of modern capitalism. Perhaps unwittingly, the Goldman Sachs report confirms that our current medical research model is more crippled than I am. Over the past three or four decades, the interlocking mantras of “all government is bad government" and "private enterprise is the solution for everything," have led our society to hand the reins of medical research over to for-profit pharmaceutical, medical device, and biotech companies. Most of these companies are publicly traded, meaning their stock is available for trade on the world's stock markets. The problem with this formula is that publicly traded companies are mandated by law to be beholden to their stockholders, not the end users of their products. In the case of pharmaceutical and medical device companies, these end-users are sick people, many suffering from hideous diseases like multiple sclerosis. In the cold calculus of the free-market, the job of drug company executives is NOT to produce drugs that offer the best result for the patients who take them (like, say, cures). Instead, providing the best outcome for the companies’ stockholders – in the form of ever-increasing profits and ever appreciating stock prices – is the legal responsibility of these executives. In fact, the CEO of a drug company with an established and successful franchise of MS treatments could very well be engaged in illegal practices if they endorsed their company marketing a cure for the disease, which would destroy their existing tremendously profitable business model. In the parlance of the financial world, that executive would be in breach of his or her fiduciary responsibilities. In the parlance of the rest of the world, that executive would likely be given the heave-ho and could spend a good chunk of time in a Club Fed. Since finding cures for diseases like MS and cancer have eluded researchers for decades if not centuries, the recent advent of medicines that treat but don't cure have been heralded as modern miracles. 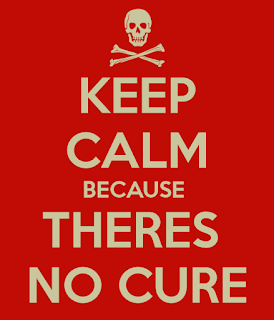 The lack of cures has become the accepted status quo, despite the fact that in the days before medical research was dominated by for-profit concerns, dread diseases like polio, smallpox, and tuberculosis were wiped out through the efforts of government and academic researchers. Now, though, with the science of genetic therapies rapidly advancing, the prospect – or, in the eyes of Goldman Sachs, the problem – of curing diseases is growing tremendously, threatening to upend a business model that has become incredibly profitable. To take just one example, medicines that treat but don’t cure multiple sclerosis generated over $25 billion in revenues during the last year alone. As more and more disease-related genes are mapped and identified, the universe of illnesses that might benefit from gene therapy is expanding exponentially. 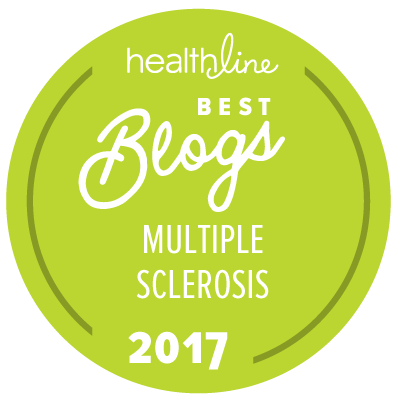 Multiple sclerosis is one of those diseases, as it seems every few weeks a new set of genes are discovered that play a role in the MS disease process. The ultimate cure for MS may one day lie in altering the genes that initiate the cascade of failures that leads the body to destroy its own tissues. Ultimately, the genetic profile of individual patients may be used to tailor cures unique to their genetic makeup. In their research report released last week, Goldman Sachs – a company that is a central pillar of our financial system with a reach far beyond Wall Street – concludes that such genetic therapies represent a vital threat to those invested in companies involved in drug and medical device development and manufacturing. In a report entitled "The Genome Revolution", Goldman Sachs analysts ask, "is curing patients a sustainable business model?" While acknowledging the vast potential of genetic treatments, the report states “Such treatments offer a very different outlook with regard to recurring revenue versus chronic therapies. While this proposition carries tremendous value for patients and society, it could represent a challenge for genome medicine developers looking for sustained cash flow." Heaven forbid! The almighty dollar must rule all, patient and societal well-being be damned. The report goes on to make several recommendations for addressing the looming financial threat of curing rather than treating diseases, including that companies ignore rare diseases whose small patient pools would make any cures prohibitively expensive, and also that they avoid curing infectious diseases because "… curing patients also decreases the number of carriers able to transmit the virus to new patients", which would, of course, be terrible for business. The report cites the example of Gilead Sciences, which developed a cure for hepatitis C several years ago (click here), but has seen its profits plummet as the population of hepatitis C patients shrinks thanks to the success of Gilead's medication. As a result, the company’s stock value has suffered. More proof that no good deed goes unpunished. Folks, this Goldman Sachs research paper states in black-and-white what to many has been long apparent but difficult to fathom: there is very little incentive for pharmaceutical companies to research and develop cures for diseases when marketing treatments that transform patients into customers for life is an immensely profitable business model. Those of us suffering from terrible conditions like multiple sclerosis must recognize that hoping for a cure from such entities is akin to hoping that the Easter Bunny hops into your local MS clinic and drops off a cure delicately encased in a colorfully decorated egg. What is the solution to this situation? Well, how about putting a small tax on pharmaceutical company profits, the proceeds of which could be funneled exclusively into publicly funded medical research explicitly targeted at finding the cause and cure of currently intractable diseases. If a tax of 4% were placed on MS medications, which, as stated previously, generated $25 billion in revenues last year, a nifty $1 billion could have gone to fund independent researchers in the search for a cure for the disease. Would it place an undue hardship on MS drug manufacturers if last year’s revenues totaled $24 billion rather than $25 billion? Let’s not forget, pharmaceutical companies are granted extremely long patents on their products and don’t face much in the way of free-market competition. It’s no accident that every MS medication is priced between $60,000-$85,000, despite the fact that some of them have been on the market for more than 20 years. Polio cannot be cured but can be prevented via a vaccine against contracting the disease. Countries such as Afghanistan and Pakistan, where the vaccine is not consistently used, are seeing the return of polio, despite it having been wiped out in most of the world. There is a very SMALL corner of the NIH looking into rare diseases, but sadly yes, large pharmaceutical companies control most of the research monies and cures are not profitable. If there were REAL treatment for PPMS, I'd take it over a long period. Yes, of course you are right about polio. Tuberculosis, too, has had somewhat of a resurgence, and is developing antibiotic-resistant strains. The NIH does great work, but unfortunately they don't have the funds necessary to bring treatments through large-scale trials. This is the problem with the current system. Lots of promising research in independent and publicly funded laboratories, but they rarely see the light of day due to the dependence on big Pharma to sheppard treatments through the clinical trial process. And, of course, they only choose to do so with compounds that have huge profit potential. At the very least, the newest treatments should come with a free, "I love my my mAb!" t-shirts." Or, "My mom spent the day in the infusion suite and all she brought me home was this lousy t-shirt." They certainly should come with some kind of perk. I'm only hoping that we don't see any wave of tragic adverse events in 2-3 years. All of this profound tinkering with the immune system is perhaps playing with fire. Only time will tell, though, and I hope I am absolutely wrong. Are profits more important than patients? Asked and answered. Yes, yes, yes. And, now that we have a "deal maker" president, an impotent Congress, a revolving door administrative cabinet, "new" laws that allow corporations to run wild.....etc, etc, etc. Simple answer...YES!!!!! History repeats itself, and the USA is in repitition form. Bitter, bitter, bitter. Where's my Hemlock??? Great suggestion, lets see if it catches on! As a side note, I've been using Medical Marijuana for the past year and have had some real success stories with it, I'd like to see additional research in the endocannabinoid system, I truly believe it does help with my spastic legs and bladder. Have you tried Charlotte’s web? It contains very little THC and the rest is all CBD which is suppose to cure a lot of diseases . Also is the best antioxidant. Replying to your post , I say : enough is enough , it’s about time we are treated as patients not numbers that come with benefits . Hear Hear! You always hit the nail on the head! What about the stakeholders who suffer because of chronic diseases? Insurance companies who have to pay the 80K for the medications, the hospitalizations, the rehab specialists? They could donate to a cure fund. The former way of doing academic research did not work either, as no research was ever shared ad if anything ever did pan out, any potential treatment tended to get lost in the so called, "valley of death," meaning that nothing ever actually made it to the patients who desperately needed it. Only in the past 10 to 15 years, has sharing research data in journals such as Plos One come to fruition. Sharing information collaboratively between academic research universities is still a novel enterprise and has come about due to the work of organizations such as the former, Myelin Repair Foundation and others looking to discover treatments or even the actual etiology of various diseases. If incredibly complex and multi faceted diseases such as dementia, ALS, cancer, MS cystic fibrosis and legions of others are ever going to be adequately treated, let alone actually "cured," it will required research scientists around the world to work collaboratively and to come out of their insular, isolated silos. Absolutely right! What's needed is a "Manhattan Project" style effort to eradicate the diseases that plague mankind. I believe that with the advent of artificial intelligence, recent advances in imaging and diagnostics, and the mapping of the human genome such an effort would produce very tangible results. Unfortunately, in the current political/global environment, such a project is only a pipe dream. It astounds me how many opportunities for getting to the roots of some diseases are simply missed. I recently spoke to a gentleman who had three siblings with MS. Seems to me a thorough genetic mapping of all the members in that family, in combination with an equally thorough screening of environmental factors they may have been exposed to might shed much light on MS disease etiology (perhaps through RNA sequencing of their blood and spinal fluid, in addition to other testing). When I asked him if any such effort has been undertaken, he said no one had even expressed any interest. Unbelievable. Not good at sharing links of any kind, but info from the "Mouse doctor" in London today was very interesting... actually tying the Epstein Barr virus to several "autoimmune" diseases, such as Lupus, rheumatoid arthritis, MS, inflammatory bowel disease, type one diabetes and several others. Research is coming much closer to making an actual connection. Yes, I am convinced that EBV plays a central role in many of these diseases. Incredibly, there is no concerted effort being made to develop an EBV vaccine, even though there is anecdotal evidence that drugs with anti-EBV properties, such as some of the anti-HIV drugs, do seem to moderate MS in some patients. Let's get all of these researchers into a room and get things done, dammit! It’s a complex issue, isn’t? On the one hand, you have entities which are acting rationally, namely Pharma responding to legal and shareholder requirements. Along the way, they may also produce worthy medical breakthroughs. On the other, you have a research model which is not favorable for the chronic condition sufferer hoping for a cure. Underlying it all is money, whether making it to satisfy shareholders, having sufficient funds for research, or having access to it to defray necessary medical treatments. I don’t know what the solution is. I simply recognize that, given political and economic realities, finding one will not be easy. Sometimes, though, the process of change can be started by truth-telling. Goldman did that with perhaps unintended consequences. You engage in truth-telling all the time through your blog. Finding solutions will likely be a slow process, hard especially for those desperately ill, but Goldman, you, and others, by making your voices heard, will contribute to generating the dialogue necessary to gain traction in making the health delivery system work best for all. For your part in this process, we all thank you and hope you will be able to continue doing it. Think of it this way, Marc. You are no longer playing/creating music in the traditional way you used to. You are now creating a different sort of music on a stage far removed from the former one. The personal cost to you has been and continues to be extraordinarily high, perhaps unbearably so. I recognize that. I simply want to acknowledge that you have mined gold from an unpromising source and, what’s more, were generous enough to share your bounty with others in need. That sounds to me like a definition of a life well-lived, a life of which you can be proud. Your summation of the complexities of the problem is terrific. To be sure, Goldman is not a benign player in this, as their paper isn't advocating for more cures, but actually for less of them. But, as you say, however light is shed on the subject might lead to a heightened awareness of the predicament. "Will the incessant drive for ever-increasing economic gain dictate the future of medicine" is the first part of your question. I'm afraid if not gutshot terrified that the answer is "yes" because the people who have the highest bank balances don't need to balance on the same worn tread of twine as any-/everyone else. Sharing information on the needed scale is so So SO far from happening for the benefit of a widely spaced group of people that the word 'group' c/wouldn't be used about them were they not affected by this. Granted, my reply here comes to make me sound as though I'm one of those folks who would grab a shipping crate to stand on in one of the main crossroads in a city, where they would hold a Bible as they ranted at the passing crowd. But... But... Well, hell, there isn't an easy 'but' to fall back on, apart from my own, which has grown with my time sitting in a wheelchair. Although curing disease does put a damper on their bottom line the industry may just adjust the price of a cure accordingly. For example, the Hep C drug Solvaldi (I think that is correct) can eliminate the virus completely and can prevent liver cirrhosis and or cancer. The company will just calculate the price of patients' treatment based on the population lifespan and future earnings. If the average patient will live an extra 30 years due to the drug at an annual gross income of $50K then the cost of a cure is $1.5 million or at the minimum the cost of a new liver and surgical transplant. There was good article from Forbes regarding this very topic some years ago. Sorry I don't have the reference. Everything, including life, has a cost. Yes, your calculus is correct, but unfortunately it is not the calculus that rules on Wall Street. In an environment where companies are expected to continuously increase profits from quarter to quarter, such long-term potentials such as reduced cancers and liver transplants hardly factor into the equation. Meanwhile, certain MS advocacy organizations have such close ties to this for-profit system that they don't truly represent patients' interests. Or the hospital cart chock-a-block with iffy meds. It's such a frustrating situation. 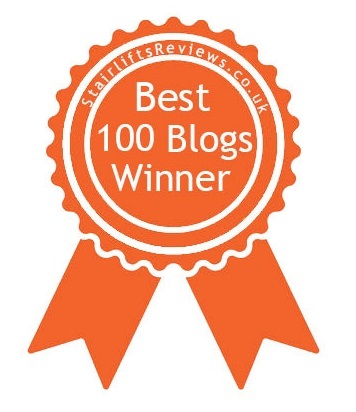 I hope that your blog post is read and shared by many. And I hope that anyone in a position to donate dollars to an MS advocacy organization researches said organization's use of their funds. Most people donate, of course, because they're kind and genuinely want to help. Unfortunately, their hard-earned dollars may only be used to pay copywriters to craft appeals for more money. For me, this is yet another argument for a single payer health system. In my admittedly over-optimistic imagination, I would like to see outcome-based compensation. The better the outcome (cures are much more valuable than treatments), the higher the financial reward. If this all involved tax dollars, the taxpayers would demand that the emphasis would be on cures whenever possible. Research done by the NIH already trys to focus on outcomes since there’s no financial reward to taxpayers for finding never ending treatments. Under this type of system, everyone would have the same goal...reduce costs. The most effective way to reduce costs would be to reduce illness. Yes, I know Big Pharma is not going to like this since it would turn that entire industry on its head. Rest assured, I would not lose any sleep. Not even a little bit. I know this doesn’t stand a snowball’s chance of becoming reality. My foolish optimism is probably derived from my own ongoing research with medical marijuana. I too have had some success with this stuff but I’m still not quite ready to call it a success. Further study is warranted. I’ll keep you posted... if I remember. Hey Brian, while I'm all for single-payer in theory, I know that in practice it is a less-than-perfect system. I have a brother who lives up in Montréal, and many readers from Great Britain. 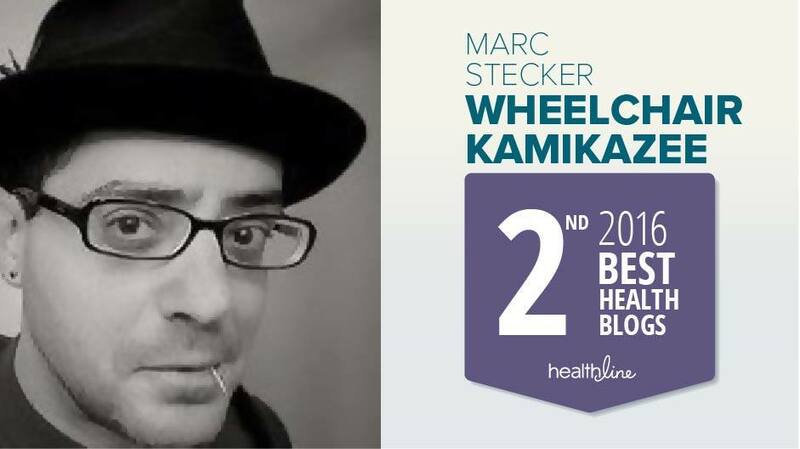 My brother has had some bad experiences with the Canadian healthcare system, mostly in terms of lack of access to certain kinds of doctors, and long waiting periods for certain procedures. The folks in Great Britain (MS patients) have very strict guidelines as to which drugs they can receive and when. Ocrevus has not received an approval in Great Britain, as it is not deemed cost-effective. Whether that's a good thing or not I guess still needs to be determined. Also, not quite sure how single-payer would change the medical research model. It certainly would upend things, but without financial incentive I think we would see a slowdown of research overall. By no means am I defending our current system, which I think is a total piece of crap. I suppose some sort of public/private hybrid system might work well. I know that Switzerland's healthcare system, which is public/private, works very well, but it's a much smaller country. As I stated in a previous comment, what's really needed is a Manhattan Project style massive effort directed exclusively at finding the cause and cure of a variety of diseases. Funding for this I think would have to be public, and that would mean raising taxes which is anethema to all of the tax cut zealots that seem to have the upper hand these last 30 years. It's all a very confounding conundrum, but one thing is certain: the system as it now stands will not result in cures anytime soon, especially for diseases like MS in which patients can be turned into customers for life. IMO we need to thank the Goldman Sachs analyst for providing some much needed clarity. Does the world want diseases to be cured? 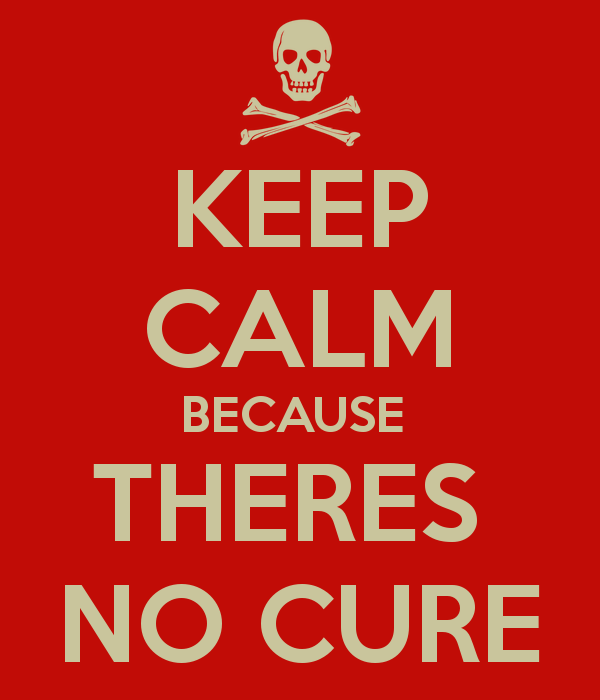 Then we have to find a way to to find cure. Pharma will not do it unless it's profitable. Well said. I do wish some of the foundations of the superrich would coordinate with each other to put massive amounts of money to work focused on some individual cause or causes. When it comes to progressive MS, we are all playing the lottery. We hope, against hope, and some of us even believe, that we will be the ONE for whom the drug works to reverse or even stop further progression.The drugs for progressive MS are about as effective as the hope and all the prayers from strangers and loved ones. It makes most of us more comfortable to be on a drug. We feel like we are being proactive. Why is it only for neurological diseases that a drug that may reduce progression is considered a success? I can't imagine a cancer drug that "May reduce the rate of tumor growth," be considered a success. Perhaps we, as patients, loved ones and doctors, are all complicit in this ruse. Hi Sandra, yes, I do believe we are all complicit to some extent. Thing is, 25 years ago MS was a medical backwater with no treatments whatsoever. So the advent of treatments that can be very effective for RRMS patients, despite the long list of potentially catastrophic side effects, is seen by patients and doctors as a huge success. I'm quite queasy about the prospect of long-term suppression of major parts of the immune system, so who knows what the future of these treatments will bring? The drugs currently being marketed for progressive ms, especially PPMS, are really, really questionable. Though the doctors and researchers recognize the progressive MS is a different beast, they are attacking it with the same weapons. For a fraction of patients this may be moderately effective, but the majority are being fed false hope, as you say. Regarding cancer treatments, actually some of the treatments being heralded as breakthroughs do only extend the life of patients for 3-6 months. While I suppose no prize can be put on 3 to 6 months of extra life, what is the quality of that life? The treatment of late stage cancer patients is a complicated topic, but suffice it to say that most doctors that get cancer refuse chemotherapy well before they would advise their patients to come off of it. That said, some of the newer immunotherapies do seem to show some real promise in attacking cancers, the first real breakthroughs in fighting cancer in decades. Marc - Thank you for posting this. I saw the initial Goldman article and was already disgusted, but your post really nailed it from the perspective of those of us suffering with chronic illness. I was talking to my brother about this very issue, and he said that universal healthcare, and social services in places like England are being eroded? I'm not sure what it was like say a decade ago, but I'm guessing those guys haven't come up with a cure either! I've never checked - does the U.S. have higher rates of M.S. than other countries? I mean - what about a country like France, where people get out into the streets to protect their healthcare system - the M.S. population over there?? Your brother is correct, the universal healthcare systems in Europe and Canada have suffered due to economic conditions. While they do administer medical care to all patients for free, at times that care does have to be rationed, and there are strict guidelines as to who qualifies for what medicine. Some sort of hybrid system would probably be best. The same MS treatments are used the world over. They don't have anything in Europe that we don't have here, and in fact, most of the pharmaceutical companies are based in the US. Of course, there is some difference in thought about treatment, so some countries use certain drugs more than others. For instance, in Sweden Rituxan is the treatment of choice for MS patients. 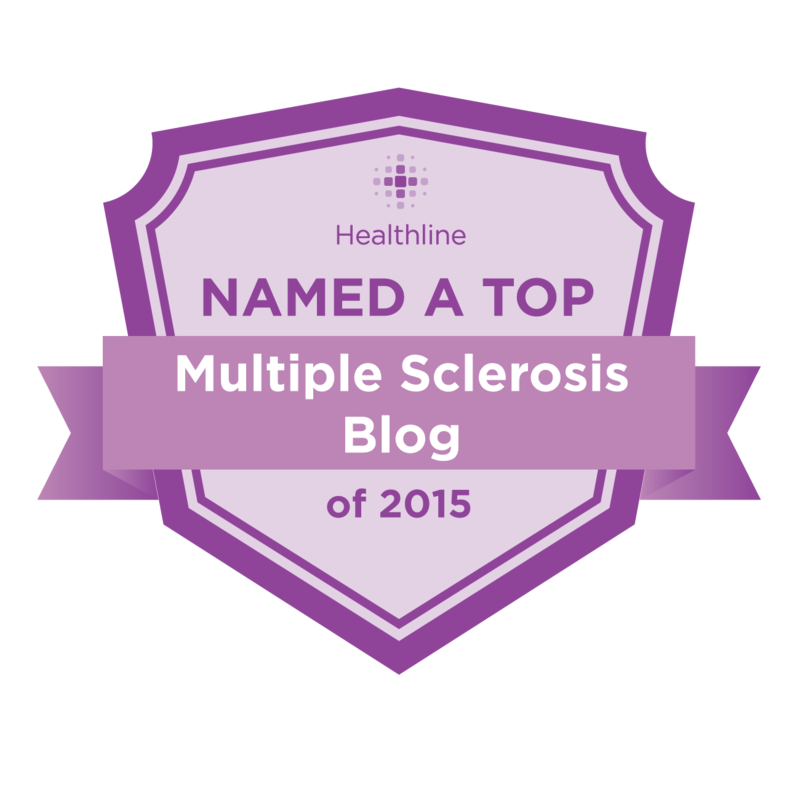 The prevalence of MS generally gets higher the further away from the equator that you go. Some of the places with the highest incidence of MS include Canada, Scotland, and countries of northern Europe. In the US, MS is more prevalent in the northern part of the country than the South. Since people move around so much in the US, the lines get a bit blurred. MARC, NOTHING NEW FOR FINDING A CURE. NO PROFIT IN IT. 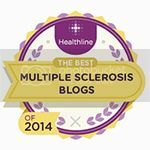 MY HUSBAND SUGGESTED I WRITE TO YOU IN REGARDS TO TRAVEL LIMITATIONS FOR PEOPLE WITH MS. WE ALL KNOWE HOW DIFFICULT IT IS, HOWEVER ,WE THINK WE HAVE FOUND THE SOLUTION FOR US & WE HOPED YOU COULD PASS IT ON. WE JUST PURCHASED A 2002 E350 MINI /SHUTTLE BUS; YES THE KIND USED BY CHURCH GROUPS & RETIREMENT HOMES. IT IS A 12 PASSENGER BUS WITH A BRAUN WHEELCHAIR LIFT. MY HUSBAND HAS TAKEN OUT THE 6 SEATS ON THE RIGHT TO OPEN IT UP. HE WILL MOVE THE CHAIR LOCKDOWNS TO THE FRONT OF THE BUS. I AM ABLE TO SIT IN THE SEATS FOR A SHORT TIME RATHER TAN IN MY SCOOTER. THE BEST THING IS, WE BOUGHT A SUPER EQUISITE COMODE THAT I WILL BE ABLLE TO USE INSIDE THE BUS RATHER THAN SEARCH FOR A FAMILY REST ROOM THAT MY HUSBAND CAN TAKE ME INTO. WE LIVE IN VIRGINIA & WE WILL NOW BE ABLE TO DRIVE TO KEY WEST ANDOTHER PLACES. 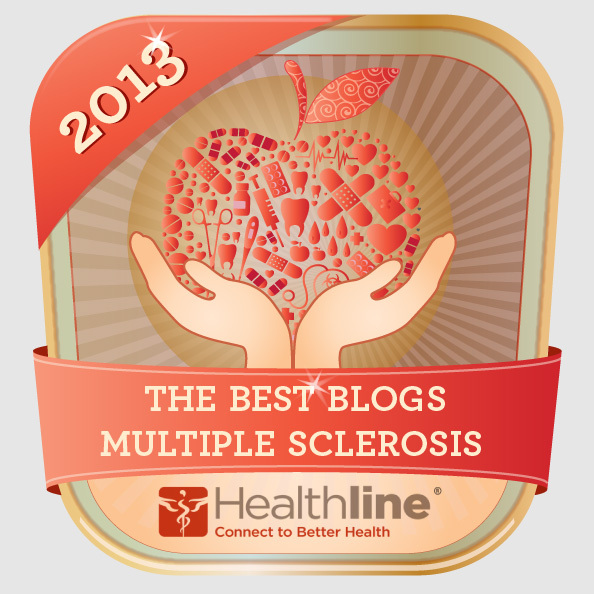 I WISH THAT THERE WAS A SITE THAT WAS FULLY DEVOTED TO RESOURCES FOR MS'RS TO GO TOO. I CANNOT SAY HOW MUCH MONEY WE HAVE SPENT ON FAILED TRIPS & EVERYTHING ELSE JUST RELATED TO EASY TRAVEL. I HOPE THAT YOU CAN PASS THIS ON TOO ANYONE INTERESTED. I WOULD HAVE E-MAILED YOU THIS INFO, BUT THE LINK WOULDN'T COME UP. I didn't ne need another reason to hate capitalism but this one really hits home. Great post, and I fully agree. The drug companies will never come up with a cure to things MS. Not only is it not in their financial interest, but also because MS is so different from one person afflicted with it to the next. That's also why I tend to refer to it as "my MS" since the way it effects me is different from anyone else I've met. I personally think that if there ever is a cure, it'd have to be tailored to the individual, which sounds like it'd be very expensive. 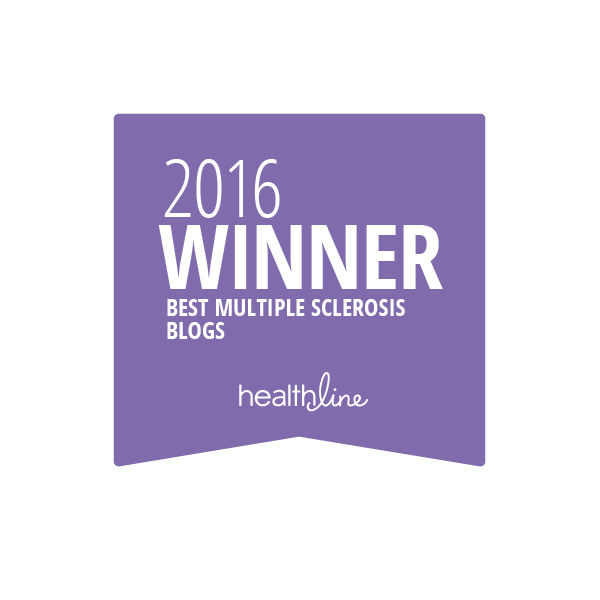 This article needs to be posted on every ms society post! Total truth. More meds that make you feel like crap with a best guess diagnosis. Let’s have another walk/bike ride to pay admin costs of the society that will never cure,only force every one on another immunology drug.